Back in May, planners of the Virgin Mobile Freefest promised A-list performers... they just weren't exactly sure who those so-called A-listers were gonna be. After two months of bated breath on, well, maybe someone's part, we finally know the lineup: Thievery Corporation, M.I.A., Ludacris, The Temper Trap and, um, Jimmy Eat World. Because, yeah, they're still around. Otherwise, though, it's gonna pretty difficult to have any complaints about seeing these acts for free. 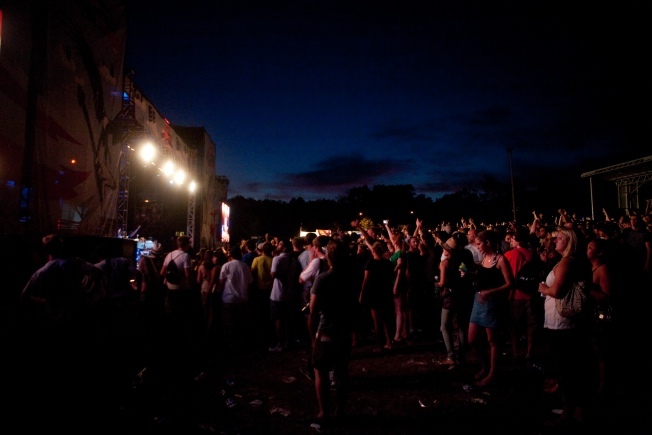 The event, previously known as the Virgin Mobile Festival, adapted the FreeFest moniker in 2009 when tickets became free. This year's fest is Sept. 25 at Merriweather Post Pavilion. Tickets will become available to order on Satuday, July 24 at 10 a.m. Check out the complete lineup here.